THREE TOUR DATES ADDED IN CHINA! 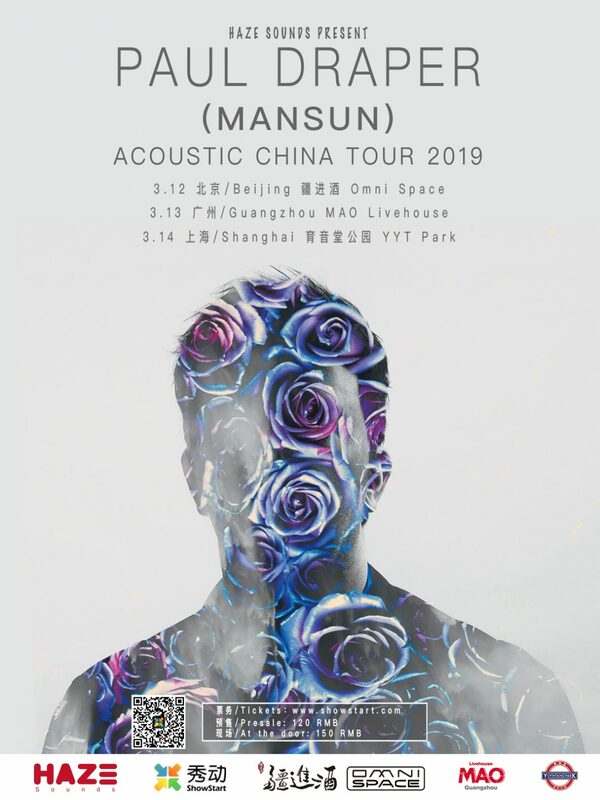 Following the huge success of former Mansun frontman, Paul Draper’s acoustic tour in the UK, three dates in China have now been added to his Far East tour in March. Paul will be making his first ever trip to China, playing acoustic sets in Beijing, Guangzhou and Shanghai, accompanied by his regular guitarist, Ben Sink. “Hello Chinese fans, having met and spoken to many of you at UK gigs and on Weibo, I am extremely excited to be playing my first tour of China.